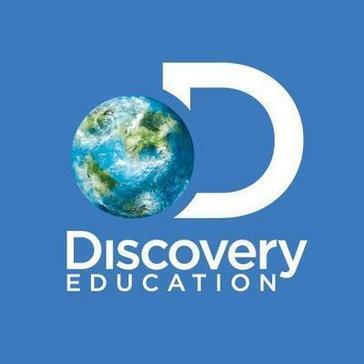 Work for Discovery Education Inc? Learning about Discovery Education Inc? "Great materials but somewhat outdated"
I love that it matches the content to standards for me. It's easier to find resources. My kids really enjoy the videos. They keep them engaged. I also like that many of the videos have guides to go along with them. It's helpful to keep the kids engaged, and it gives me a source of questions to ask them. It makes my life as a teacher easier. It's helpful to have videos that my district won't block and that I know are safe for my students to view. Many of the videos are noticeably more than 20 years old (my students comment on the age of the videos). For science, this is problematic, as some of the information has been outdated. For example, there was a video about bionic body parts that was extremely behind on current technology. I had to go to another source to show my students more accurate information. Look into it. It's a great resources. I really liked the techbook when we had access to it, but it was expensive. I'm able to engage students. Some concepts are much better taught via video than by an instructor. My students are able to rewatch the videos on their own outside of class or during class and are able to watch them if they are absent. It's easier to catch kids up when they've missed many days due to an illness. I love that Discovery Education Inc provides many different types of content- video, audio, picture, text, etc. The site is extremely user friendly. You can save content to your profile as well as organize any saved content into folders. This is extremely useful for teachers who teach multiple grade levels and/or subjects. Some content is a bit outdated, especially in the subjects of the arts and humanities. In addition, I am unsure when new content is added in my area. I wish that there was an option to receive a notification when new content is available in a specific subject or grade. I recommend Discovery Education Inc for the STEM subjects as there is a lot of various content. For the Arts and Humanities, there is a good amount of content but some is very outdated. The videos are great. It's a nice go to when supplementing videos for lessons. I know that they will be school appropriate and geared for furthering education on the topic. Not a fan of the reading assignments. There aren't usually questions to go along, so I end up having to create those. It would be nice if there were more reading assignments with canned questions. Maybe ask teachers to help write up lesson plans/questions to go along with not only readings/passages but also videos so there is an accountability piece already worked into them. The best part of this program is the plethora of activities and resources. In a classroom where differentiated instruction is important because you have so many different learning styles, it is important to have a variety of materials that engage all students. Some of the materials available include worksheets, lesson plans, videos, and graphs. I would like to have other subjects available, such as English Language Arts. As of now, materials are offered for Math, Science, Technology, and Social Studies. "Teacher for Discovery Ed. " I love the interactive labs and experiments that students can use. In those interactives they do a really good job graphing the student data based on the virtual experiment outcomes. Sometimes quality of videos is sub par and other videos need to be screened before watching for showing to a class. Board builders are also a little hard to utilize, especially for students. I have not personally ever had to have assistance using this program but I know others in the district have had success in getting help and questions answered. "One Stop shop for videos"
My favorite feature of Discovery Education is the ability to download movies for use at a later time. The only thing I dislike about the program is the cost. I wish it was more affordable for educators to purchase at a personal level instead of having to be a district subscription. I highly recommend this as a cross-curricular tool. "Excellent Resource for students and educators !!" I love the videos that are embedded into DE and I love the animation movies about different personalities. Some videos are too short and I wish they were more detailed and informative. I highly recommend DE to educators and parents as well. I like that their are videos geared towards all grade levels and covers many content areas. I wish there were more appropriate K-2 content videos. Many videos for K-2 are connected with other grade levels, which makes it inappropriate to show younger students. "Great content though a bit dated"
Some of the videos are pretty dated. It doesn't seem as they should being from the 2000s but with it now 2018 a 2004 video is dated. Material wise and editing wise. Great resource. Just check date of material to make sure ideology hasn't changed. I like that many educational resources are at my fingertips. The program could be more user friendly. There are units paced based on the 5 E's model of science instruction. Resources are all linked as well as grade-level appropriate tasks and passages. Board builders are a little hard to use for teachers and students alike, especially in elementary. Screen videos before showing to kids.Connects easily with Google Classroom. * We monitor all Discovery Education Inc reviews to prevent fraudulent reviews and keep review quality high. We do not post reviews by company employees or direct competitors. Validated reviews require the user to submit a screenshot of the product containing their user ID, in order to verify a user is an actual user of the product. Hi there! Are you looking to implement a solution like Discovery Education Inc?